Product prices and availability are accurate as of 2019-04-17 03:29:32 UTC and are subject to change. Any price and availability information displayed on http://www.amazon.com/ at the time of purchase will apply to the purchase of this product. 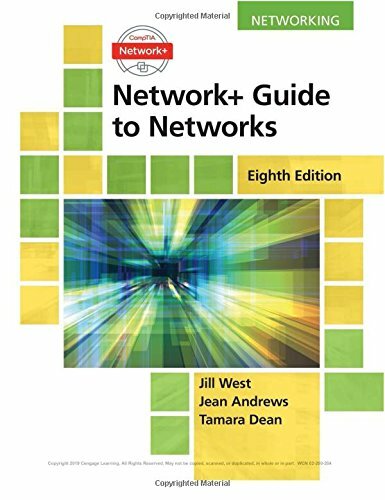 Master the technical skills and industry knowledge you need to begin an exciting career installing, configuring and troubleshooting computer networks with West/Dean/Andrews' NETWORK+ GUIDE TO NETWORKS, 8th edition. It thoroughly prepares you for success on CompTIA's Network+ N10-007 certification exam with fully mapped coverage of all objectives, including protocols, topologies, hardware, network design, security and troubleshooting. Virtualization-based projects give you experience working with a wide variety of hardware, software, operating systems and device interactions, while "On the Job" stories, Applying Concepts activities, and Hands-On and Capstone Projects let you explore concepts in more depth. MindTap Networking offers additional practice and certification prep. 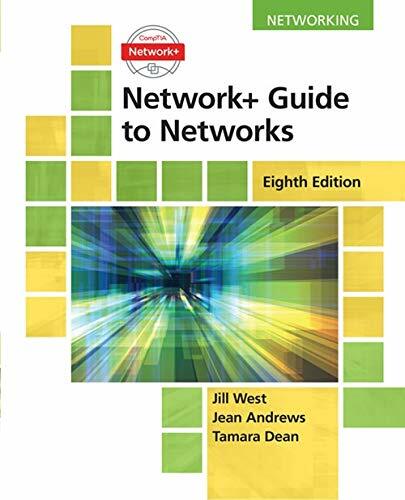 The text's emphasis on real-world problem solving provides the tools for success in any computing environment.